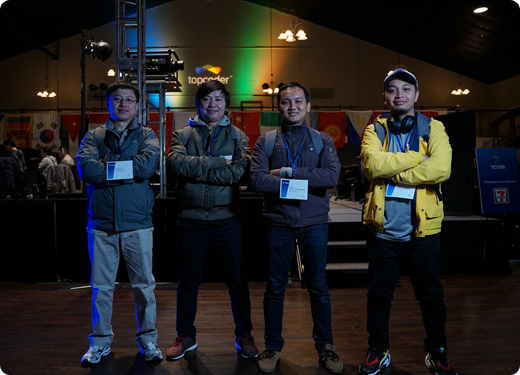 Topcoder Design is a platform that allows up-and-coming designers to step into the spotlight-giving them the chance to break into the industry in front of peers, experts in the field and real world Fortune 500 clients. Compete in all types of design challenges to win prize money and establish your street cred. Sharpen your skills and improve your portfolio while working on real world projects for big-name clients. First you must become a Topcoder member and start competing! The 2018 Topcoder Open UI Design Competition will take place in four (4) online stages. The top three (3) performers, per the leaderboard, of each stage from the UI Design Competition will win a prize and/or a trip to compete in the TCO18 Finals in the USA on dates and a location to be determined at a later date. Prize will be awarded at the conclusion of the Onsite Championship Round. Winner must be present at the onsite Championship announcement to receive prize.